MIKAELA DAVIES: UNDERRATED OR OVERRATED? Ever wonder how it is that transplanted Montrealers mysteriously enrich the Canadian arts scenes wherever they touch down? Case in point: Mikaela Davies. 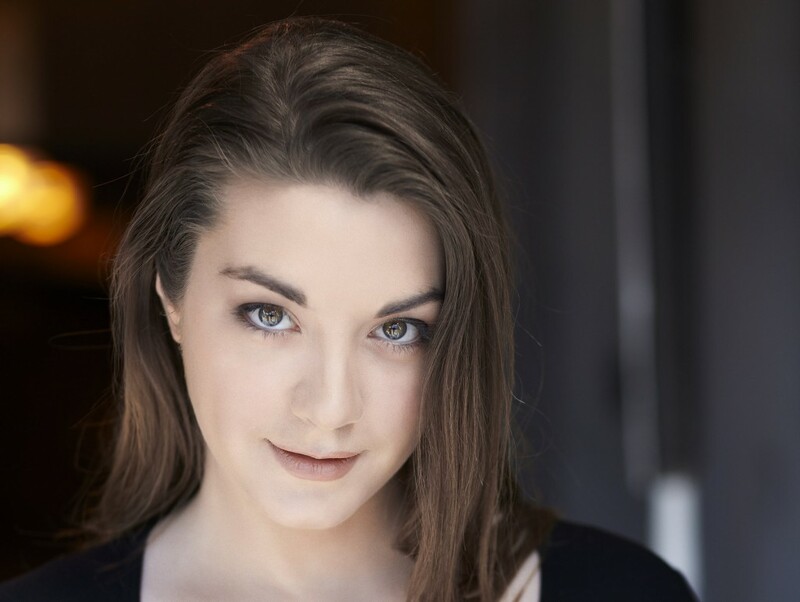 Who could speculate what was on the horizon for the starry eyed story lover upon joining the Soulpepper Academy although it might be said that the company’s staging of The Crucible alongside veteran performers was a coming out party of sorts for her. Flash forward to 2016 when she co-developed and directed the sold out run of Polly Phokeev’s How We Are to once again push out the boundaries of each new project in which she immerses herself. And with summer around the corner, she’s now comfortably settled in on the Stratford Festival stage where playgoer delight finds her in roles for both William Shakespeare’s Breath of Kings Rebellion & Breath of Kings Redemption. Life is full of people, places and things we adore and others we can never get our head around. Mikaela Davies’ Underrated Or Overrated disclosure puts it all in piquant perspective. Last year I moved into a beautiful one bedroom apartment with no bathtub. This was a tough decision because I love baths. I mean love them. You know how some people say taking a bath is gross because it’s like sitting in your own filth? They’re insane! I’ve tried to become the kind of person that relaxes in the shower. I even googled “15 Easy Ways To Make Your Shower Experience The Most Relaxing Yet”. No dice. The first thing I looked for when apartment hunting in Stratford was a bathtub. I wasn’t even sure if my apartment had a kitchen, but I scored on the bathtub front. After a long day nothing beats having a hot bath with some chocolate and a great book. Hot baths are totally underrated! Uh oh. Sushi is one of those things I’ve never gotten into. I know, I know, it’s so good, even amazing. What’s wrong with me? I have no idea. I just can’t like it. Sushi is a first date, Sushi is lunch with an old friend, Sushi is a celebration for a hard day’s work. But not for me. With full respect to just about every other person I know…I’m sorry, it’s overrated. I recently got the chance to meet a friend of mine in Ireland and we Airbnb’ed a new place every night. It gave us the freedom to take recommendations from strangers and make plans on the fly. It’s significantly cheaper than a hotel and way cleaner than most hostels. The best part is you get to meet people! From a 76-year-old Irish bachelor in Doolin to a British couple raising their kids in Kilkenny, Airbnb connects strangers from around the world. Sitting in Steve and Alison’s kitchen eating their food and drinking their wine while they shared stories of their lives was one of the highlights of my trip. I can’t think of a better way to travel and truly get to know a different culture. Airbnb is definitely underrated! Anyone who has worked in the restaurant industry in Canada knows how important it is to tip well. I wasn’t skilled enough at carrying more than two plates at once to be a waitress but my years as a bus girl taught me that there is no wrath like a hungry person’s wrath. In addition, servers often have to pay out a percentage of their tips to the host/hostess and bus boy/girl. Sometimes owners even ask their staff to cover the cost of a dine and dash and broken dishes. All this means if you’re not tipping well, your waiter/waitress might actually be losing money on serving your table. That’s just crazy. Tip well, just do it, it’s underrated. The exception to this rule is when you’re travelling. For example, leaving a tip on a pint in the U.K. can be considered unnecessary and rude. Google everything so you are tip savvy. Instead of hearing what I have to say about Donald Trump why don’t you hear what Marwa Balkar, a Muslim America has to say. I believe she’d categorize Trump as overrated! It’s hard to argue that. How could someone not like sushi? It’s a meal that could establish peace in the middle east if we could just get the warring factions to sit down and share some chopsticks together. Try it again today, maybe your taste buds won’t revolt.